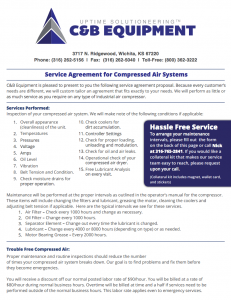 C & B Equipment is your foremost expert on air compressor and dryer repair. Our staff includes multiple service technicians that are Gardner Denver compressor certified, a value that’s sure to save you time and money with your air compressor and dryer problems. We service any brand of compressors. We service any brand of compressors.